Children love stickers—and so do many adults! These stickers are not just fun, they are an effective and simple way to reinforce positive messages and show children that they are appreciated and valued. And these stickers have a very special message—all children deserve to be recognised for the strengths they already have and for the strengths they are developing. It is through building strengths that children flourish and learn. 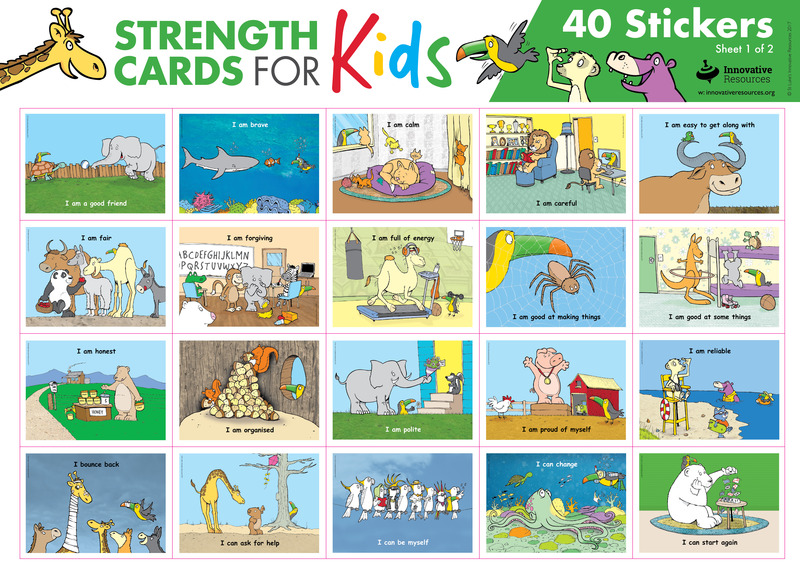 Strength Cards for Kids Stickers are a great adjunct to the cards with their colourful cartoon-style animal characters and their practical, affirming statements such as ‘I am brave’, ‘I try new things’, ‘I welcome others’, ‘I like to learn’ and ‘I bounce back’. There are 40 of these wonderful messages to share with children. These stickers will add colour to their journals, notebooks, pictures and writing. Perhaps each child can select and wear a different sticker every day in the classroom or at home? With 5 full sets of 40 different stickers (that’s a total of 200 stickers in each pack) you will have a useful and versatile tool for creating a caring and supportive culture in schools and families. Encourage children by giving out stickers that match their strengths, or invite them to choose stickers for themselves and others. 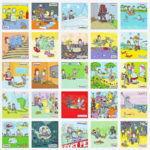 Use the stickers to create ‘strengths-trees’ for your family or class. Tell children how special they are by putting stickers on their lunch bags, presents or notes. 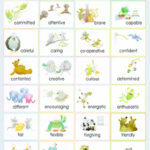 Ideal for building self-esteem, discovering buried strengths and mobilising strengths to tackle problems, these stickers can be used by themselves or to complement conversations and activities using the Strength Cards for Kids (3rd Edition) card set.